John was appointed Chief Executive Officer for Aon’s Captive and Insurance Management business in April 2018 having previously served as Chief Operating Officer. He joined Aon in 2008 as Managing Director of Aon Global Risk Consulting with specific responsibility for the development of our captive management division. 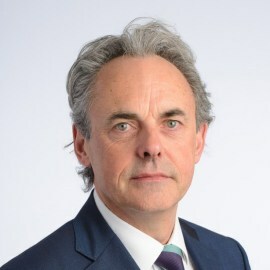 Prior to joining Aon John was with Jardine Lloyd Thompson (JLT) for eight years where he was Chairman and CEO of their Bermuda Market broking operations. During his time with JLT, John also established and led their group’s captive management practice. John has thirty years of experience in the insurance industry and has assisted clients around the world in developing and implementing their risk financing strategies. He has served on a number of industry bodies in Dublin and Bermuda and has spoken at numerous conferences.